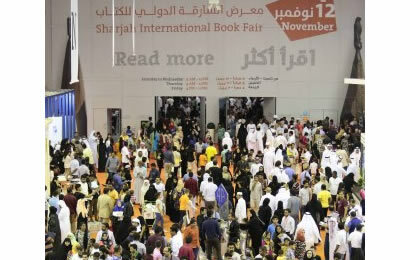 Known more popularly among international circles as the cultural and artistic capital of the Middle East and North Africa, Sharjah – the third largest emirate in the United Arab Emirates (UAE), has welcomed 2.31 million visitors at the 35th edition of one of the world’s top book fairs – the Sharjah International Book Fair (SIBF) 2016. 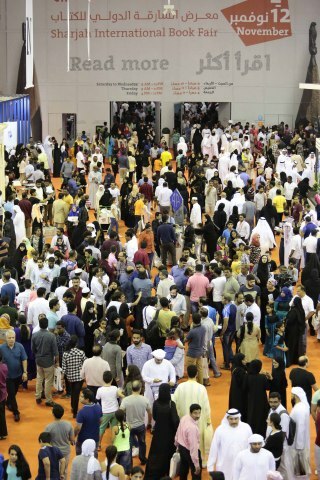 The 35th edition of the 11-day fair, that was open to general public from start to finish, turned out to be SIBF’s biggest year yet. Showcasing a global audience of book publishing industry professionals ranging from the USA to China and everything in between, SIBF has broken all its previous records this year by hosting 1,681 publishers and 1.5 million titles from over 60 countries. “In line with the vision and directives of His Highness Sheikh Dr. Sultan bin Muhammad Al Qasimi, The Ruler of Sharjah – UAE, we have established Sharjah as a premier hub of literature and culture, and a critical meeting point for the Eastern and Western civilisations,” said Sharjah Book Authority (SBA) Chairman, Ahmed Al Ameri, as he vowed to take the Sharjah International Book Fair to the top in just a few years. Over the years, SIBF has established itself as a critical event for the buying and selling of copyrights and subsidiary rights: reprint rights for foreign editions, paperback rights, along with being a professional meeting place for publishers, rights managers, booksellers, agents, authors, translators, publishing technology experts and media professionals. In accomplishing a series of firsts, the SIBF Professional Programme has made history with 1,239 interest of agreements being discussed between publishers and rights professionals. #SIBF16, the fair’s official hashtag, has received more than 1 billion impressions cumulatively in English and Arabic during the first five days of the fair, and has been seen trending fiercely on Facebook, Twitter, Instagram, and Snapchat. Sharjah has been at the forefront of the Arab world’s cultural growth and development since the nation’s independence. From humble beginnings in 1982 featuring less than 10 publishers, SIBF has grown exponentially and plans to move to a new 60,000 sqmt venue next year.